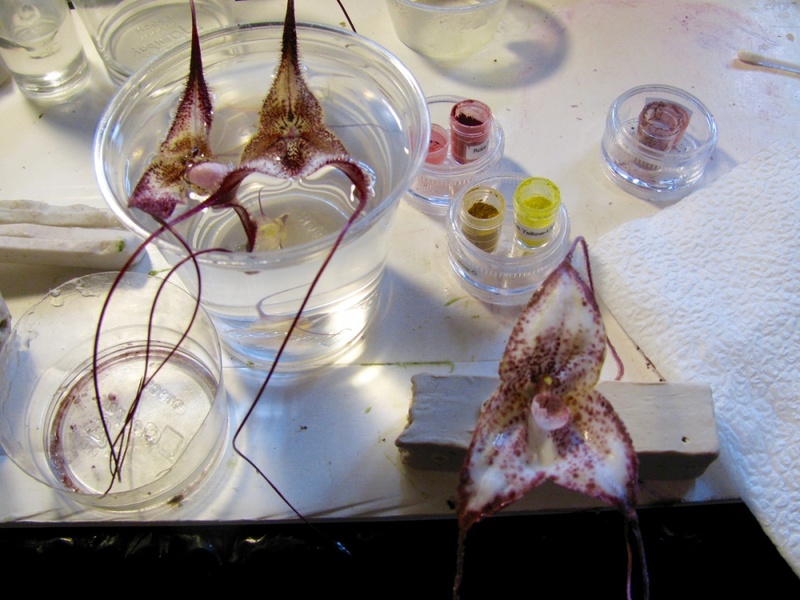 A team of UO scientists has unlocked the mystery of the mimicry used by Dracula orchids to attract flies and ensure their survival, using a 3-D printer to spoof the insects. The National Geographic Society and National Science Foundation, including a $573,000 grant under the American Recovery and Reinvestment Act in 2009, supported the research. The findings are in a paper online ahead of print in the journal New Phytologist. Dracula orchids grow in Central America and the northwest reaches of the Andes Mountains in South America. 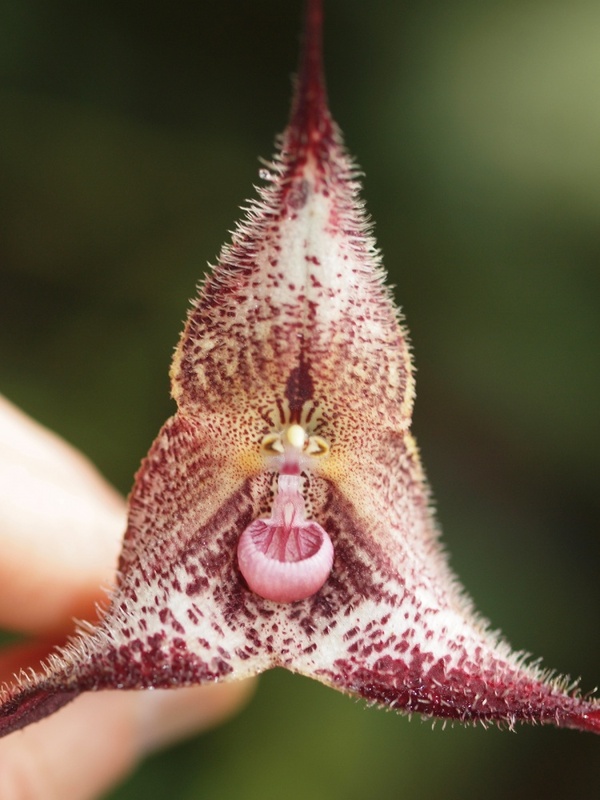 The Dracula label literally means "little dragon" because of a face-like feature in the flowers. Many observers say they see Count Dracula as a bat they way he appears in vampire depictions in literature and the movies. "Dracula orchids look and smell like mushrooms," said the study's lead author, Tobias Policha, an adjunct instructor and plant scientist in the UO's Institute of Ecology and Evolution. "We wanted to understand what it is about the flowers that is attractive to these mushroom-visiting flies." 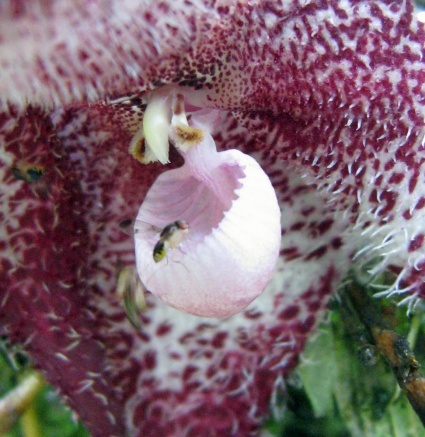 The researchers closely studied 22 orchids, looking piece-by-piece, to determine where specific scents are produced in the flowers and which ones possibly lure pollinators — in this case 11 species of fruit flies that thrive among wild mushrooms that grow near the orchids. The 3-D copies — the same shape and size of real ones — allowed team members to apply various color patterns and extracts of the various scents. Among the mix of experiments they also used chimeras — 3D-based copies with real and artificial parts — enabling them to disentangle which parts were attractive. Flies were drawn to the fabricated plants as if they were real. The 3-D versions were made by co-author Melinda Barnadas, co-owner of Magpie Studio, which fabricates scientific artwork for museums. 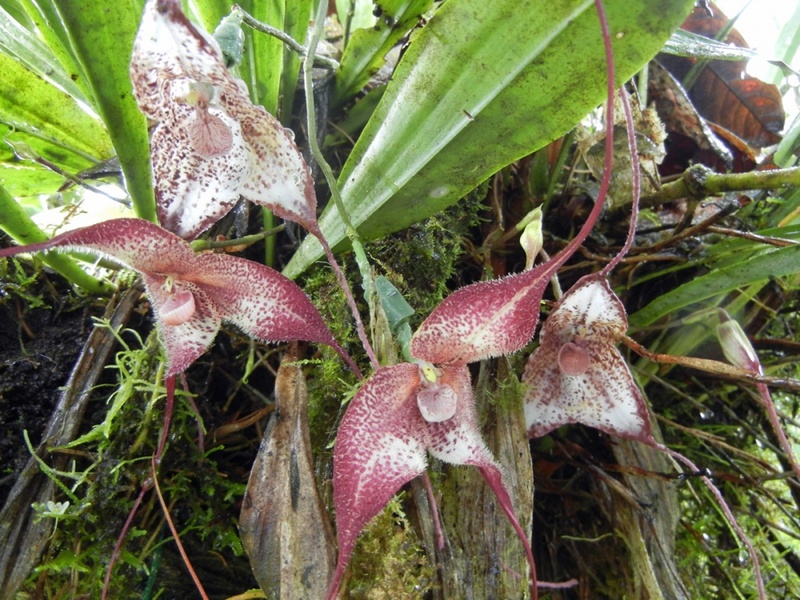 Barnadas, also a visual artist at the University of California, San Diego, spent time with the team studying the orchids in Ecuador. Other co-authors were Aleah Davis, a UO undergraduate student in the Robert D. Clark Honors College during the research; Bryn T.M. Dentinger, a former UO postdoctoral researcher; and Robert A. Raguso of Cornell University. Davis has since completed a master's degree in public administration at Portland State University. Dentinger now is in the UK, with the Jodrell Laboratory of the Royal Botanic Gardens, Kew, and the Institute of Biological, Environmental and Rural Sciences at Aberystwyth University.